Over 700 potential terrorists have left the United Kingdom in order to carry out jihad in the Middle East, according to London’s Metropolitan Police Service, also known as Scotland Yard. 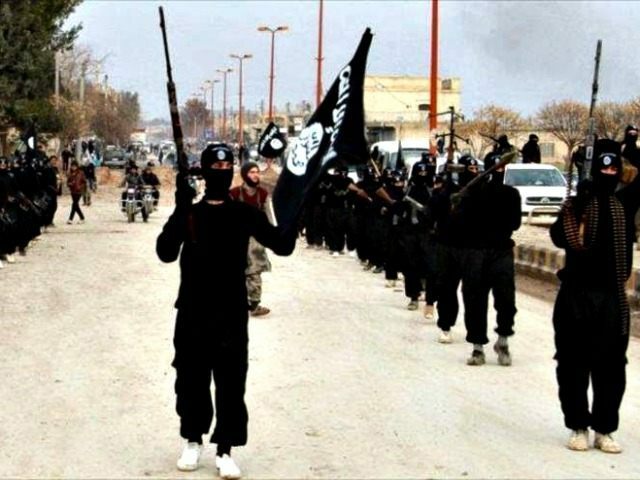 Alarmingly, about half of the jihadis have now returned to the UK, reports have stated. About 350 individuals are considered to be under the category of “significant concern” after returning from Syria. On average, British authorities are arresting one suspected terrorist every day, Sky News reports. Assistant Police Commissioner Mark Rowley, a British counterterrorism official, said about half of those who were suspected of having been involved in illegal overseas acts are coming from Syria. “The number of people who have travelled to Syria has passed 700, in terms of those who are of significant concern to us and the security services,” said Rowley. “They are not aid workers or visiting relatives – they are people of real concern that they are getting involved in fighting or are supportive of if. They are potential terrorist suspects,” he explained. Rowley was asked how many of the individuals in question have returned home to Britain. “It is a fairly even balance between those still out there and those who have come back,” he answered. Scotland Yard figures show that 338 people were arrested on terrorism charges in 2014/15, which is one-third higher than the year before. The UK government announced a new plan yesterday to tackle Islamic fundamentalism with “extremism disruption orders,” such as closing down recreation centers used as recruiting grounds for potential jihadis, the UK’s Mirror reports.